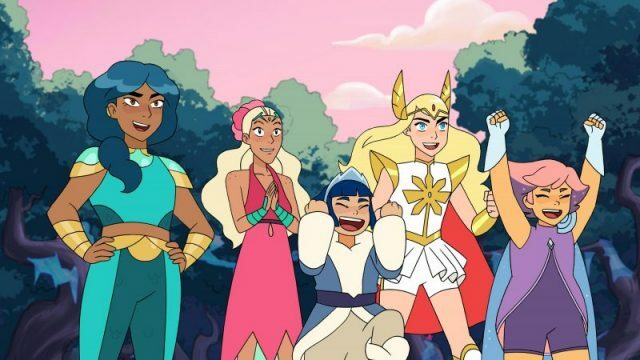 DreamWorks Animation and Netflix have released the official trailer for the highly-anticipated second season of their hit animated series She-Ra and the Princesses of Power, teasing incoming war between the Princess Rebellion and the Horde. The animated series is scheduled to return on April 26. Check out the trailer below! In Season 2, Adora is finally beginning to accept her destiny as the legendary warrior princess, She-Ra, and leader of the Princess Rebellion. Still, there is much to learn as the threat of the Horde grows, with her former best friend Catra sinking deeper into the world of evil as she becomes Hordak’s right hand. RELATED: She-Ra and the Princesses of Power Season 2 Poster: Adora vs. Catra.